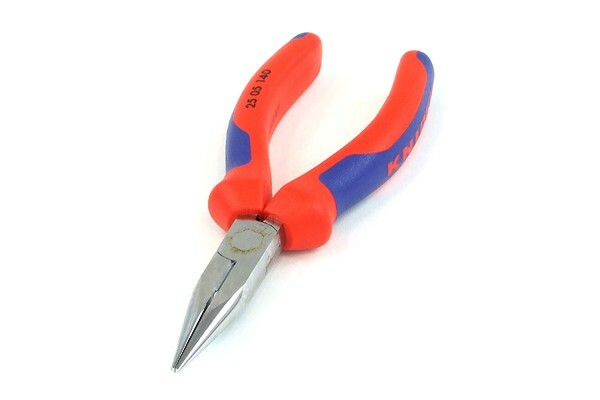 Straight nose side-cutting pliers from Knipex. These pliers are a German brand-name product. The grips are made from rugged plastics and have a hard rubber inlay, making it both rugged and comfortable to hold. The gripping surface is rippled to ensure a secure hold. The blades are made from specially hardened steel which were additionally inductively hardened. This furthermore increases the durability of the pliers. The dimensions of this tool are normed by DIN ISO 5746.